I obtained this info from the meeting of the Fort Bend County Toll Road Authority this evening. 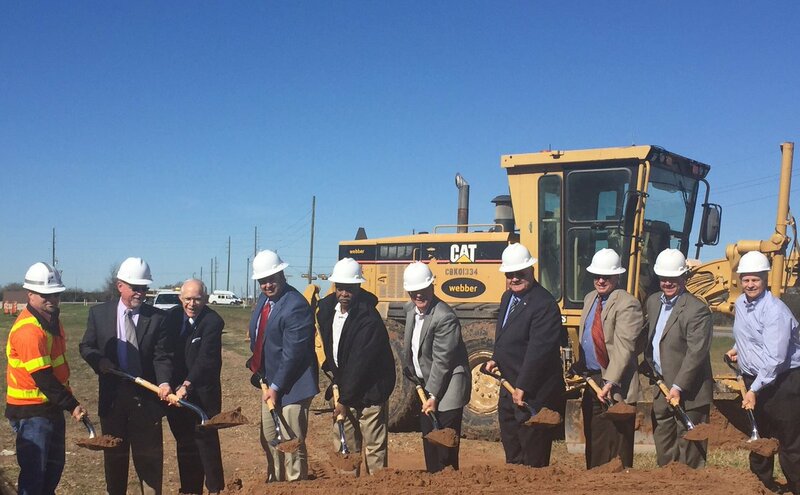 The project extends the Westpark Tollway westward from its terminus at the Grand Parkway (SH 99) to Fulshear. It will have the same design features as the existing adjacent section: four lanes of frontage roads (two each way) and four tolled main lanes. Phase 1: Grand Parkway to FM 1463, 4 miles. Main lanes beyond the first 2.2 miles will be built when funds are available and environment clearance is received. FBCTRA is currently maxed out on its borrowing ability, so more main lane work may not start for 2-3 years. Are there enough people that live that way yet to support extending it? Apparently yes. Currently there is only a two-lane road, and there was discussion of traffic problems, especially at the intersections. The engineer at the FBCTRA meeting emphasized that the frontage roads will provide a huge improvement in performance along most of the corridor, since only 2.2 miles of main lanes are being built in this phase. As Chris' graphic shows, there are new subdivisions stretching for many miles west of the Grand Parkway. Cross Creek Ranch seems to be the furthest west at this time, but apparently plans are in the works to keep pushing development west to Fulshear and beyond. There is also increasing development on the south side of the Westpark corridor. Apparently yes. Currently there is only a two-lane road, and there was discussion of traffic problems, especially at the intersections. Oh lord yes. They need to look into widening Grand Parkway through Cinco Ranch too. At the meeting of the Fort Bend County Toll road Authority, it was mentioned that this year TxDOT is expected to provide a schematic for the widening of the Grand Parkway to 6 lanes between the Westpark Tollway and I-10. There was no mention of when it may actually be built. I monitor Houston Transtar twice daily, and I've noticed that the section of the Grand Parkway from the Westpark Tollway to I-10 is frequently yellow or orange (indicating slow conditions). But it is not yet reaching red. When was the segment of the Grand Parkway between I-10 and the Westpark Tollway built? Like ~ 1994 or 1993 maybe? It opened in 1994 according to the Houston Freeways book. Google Earth historical imagery reveals that at that time (1995) only three interchanges were built, the rest only had frontage roads north of Cinco Ranch Boulevard. The main lanes weren't built until 2005, and they ended just south of the Katy Freeway. The interchange with the Katy Freeway was a frontage road intersection until the first direct connectors were built in 2012 and the other six in 2014. The Grand Parkway main lanes over the Westpark Tollway also weren't constructed until 2014. So there wasn't a full freeway link from the Westpark Tollway to the Katy Freeway until 2014. Even today the interchange with the Westpark Tollway has only one direct connector, all other movements have to use the frontage roads. There has been a significant cost escalation for the Westpark Tollway extension project, with the cost nearly doubling to $ 229 million, even $ 357 million including interest. The environmental approval process required more time while land prices appreciated quickly due to the explosive population growth in the area since the project was initiated. They say that land prices increased from $ 5 per sq ft to $ 10 - 13 per sq ft, greatly adding to the cost of right-of-way acquisition. They also had to pay more for utility relocation. They are now asking for more money from TxDOT. Phase II is still expected to start in late 2017. It turns out that the first phase of the Westpark Tollway extension opened to traffic on November 7. The tollway now extends to FM 1463.